Not since Chinese Democracy have metal fans been so eagerly anticipating a release! And while it may or may not be as disappointing, by gum, Swarm of Eyes’ second album is coming soon! The band’s sophomore effort, We Go to War with the Weapons We Have, is scheduled for a January 6th, 2017 release date with cover art and visuals designed by the one and only Mike D’Antonio of Killswitch Engage, via his art production house DarkicoN Design. Fans will hear an evolution of the band’s sound that retain elements from their 2012 debut, Designing the Dystopia, and combines Big 4-style riffs with modern metal production. The end result is an addictive strain of thrash-y doom metal that leaves a distinctive imprint of destruction in its wake. 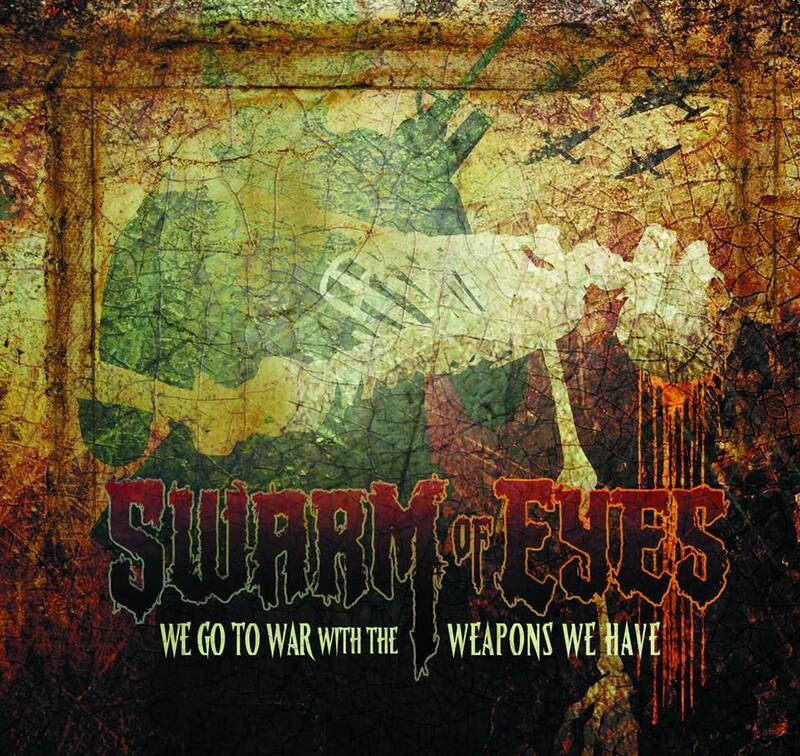 Produced by Dave “Weirdbeard” McCafferty and Swarm of Eyes guitarist George O’Connor, the album features four brand new tracks, two cover songs, and a re-recorded “Humanemic” from the band’s debut disc. 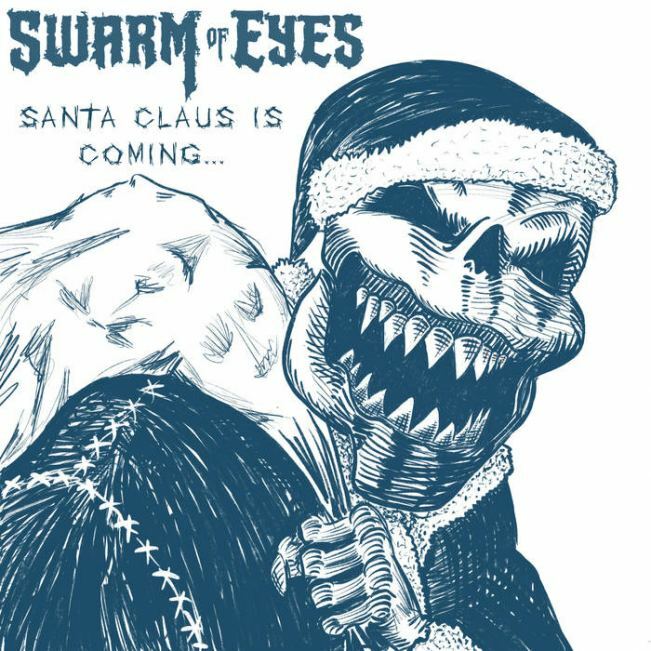 Whereas the original “Humanemic” was recorded before bassist Jeff Grossman and drummer Tommy Burke joined the band, this new version features all five members of Swarm of Eyes bringing their talents to the track. Check out our shameless shill at the end of this news bulletin the track listing and pre-order your copy today. (Shipping 01/06/2017). 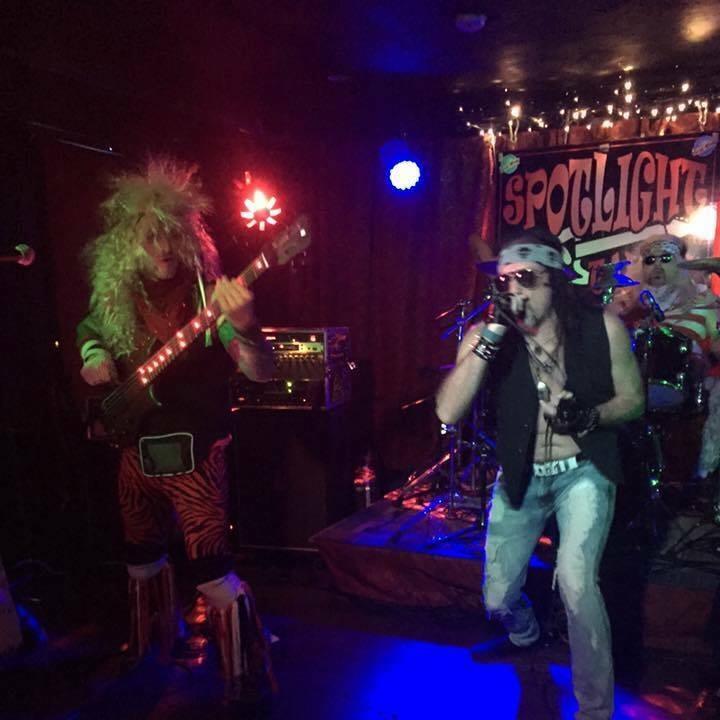 On January 30, 2016, Swarm of Eyes celebrated the birthday of bassist Jeff Grossman — that fretboard lighting, Brazilian Jiu Jitsu fighting, heart-igniting son of a gun — in grand style at the Spotlight Tavern in Beverly, Massachusetts. Playing to a packed house, Swarm of Eyes played a memorable set, prancing around the stage looking like Steel Panther’s Care Bear Cousins. The ’80s themed event saw Swarm of Eyes doing something special for one of their own, as well as the fans who turned out for the show. It also saw them decked out in enough spandex and Aqua Net spray-mounted wigs to make a revival of Rock of Ages look like Law and Order: SVU by comparison. The Eyes guys played a mixed bag of original songs and a few classic punk, rock, and metal covers. New songs “Left to Burn,” “Tell Your God To Ready For Blood,” and “Cursed in Blood” were trotted out to the approval (they hope) of the live crowd in preparation for the band’s upcoming EP. Old favorites like “Endless Ashes,” “The Day That God Went Mad,” and “Humanemic” rounded out Swarm of Eyes’ original offerings for the night. On their cover of Motley Crue’s “Looks That Kill,” Swarm of Eyes were joined onstage by Chris Harvey, lead singer for Guns N’ Roses tribute band Cocaine Tongue, who provided a wicked nasty (and awesome) contrast to Randy’s growling vocals. Misfits’ tribute band 138 put in an appearance with the group’s lead singer chiming in on Swarm of Eyes’ rendition of “Where Eagles Dare.” Rounding out the covers were The Ramones’ “Blitzkrieg Bop,” and Billy Idol’s “Rebel Yell,” which brought the show to its fist-pumping conclusion. You only turn 30-something-ish once, and the Swarm of Eyes guys and their fans made damn sure it was a fun and memorable night for Jeff, as well as their fans. Thanks for coming out!